Can I Visit Canada After a DUI Charge That Resulted in a Non-Conviction? If an individual has been arrested for drunk driving but was either found not guilty in the court of law (acquittal), never had criminal charges filed against them, or had the DUI charges fully dropped, entry into Canada may be possible provided they can prove the favorable result to authorities at the border. Anytime someone is arrested and fingerprinted a criminal record is created, and officials can often access those records indefinitely. There is no presumption of innocence at the Canadian border, so even a DUI arrest (with no conviction) can result in a visitor being refused entrance. Impaired driving is considered a serious crime in Canada, and can be punished by as much as a decade in jail. Consequently, any American with an intoxicated driving-related arrest in their past should expect thorough scrutiny by Canadian border officials and plan accordingly. The Canadian border can typically see a US arrest record extremely fast. In many cases, an arrest record appearing in the database with no corresponding conviction is simply because the offense is still pending trial. In such cases, border authorities can essentially assume the conviction and turn away the visitor. The onus is always on the traveler to justify their entry, so visitors with a past arrest for a DUI or comparable offense should never expect border officials to be aware of the final verdict and should arrive at the border with adequate documentation. Post 9/11, Canada and the USA share a lot of information with each other in the name of security, and unfortunately, all these lists are not always perfectly up to date. It may take a significant period of time for some information to appear in the database, and sometimes a record may never appear at all. Criminal information from sources such as the FBI's NCIC database as well as the Canadian Police Information Centre database are now fully shared between the two countries. If an individual is on a list that has not been properly updated to reflect that their DUI case has been dismissed or reduced to a lesser charge, then even after a not guilty or other "no conviction" result it is possible for the individual to still get flagged at the border and be refused entry into Canada. If you have ever been arrested, you may be required to prove your admissibility to Canadian border agents in order to be permitted to enter the country. 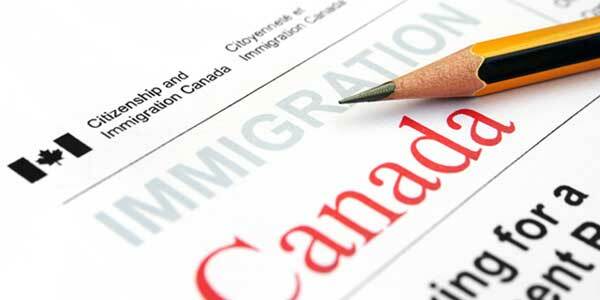 There have been substantial issues regarding delays in updating legal records, so it is possible that the criminal record accessed by Canadian immigration officials is years out of date and might not show a DUI acquittal or expungement (pardon). This is one of the many reasons it is advisable to have a legal opinion letter prepared by an immigration lawyer before you try to enter Canada if you have ever been arrested for impaired driving. An attorney opinion letter can explain to Canada's immigration authorities exactly why a person is not criminally inadmissible to the country despite an arrest appearing on their record. At the end of the day, the onus is on the visitor to be able to prove to border security that they were acquitted of the DUI and are not inadmissible, so we always encourage people to plan ahead. Court documents, current police certificates, and up to date driver abstracts are examples of evidence that can also be presented at the Canadian Port of Entry to help prove that a court outcome was "no conviction". Even if an individual had their DUI expunged, pardoned, or removed through a diversion program for first-time offenders, he or she might need to prove this fact at the border and could still be considered inadmissible depending on their exact situation. A pending DUI that has not yet reached a verdict in trial is treated similarly to a conviction when going to Canada. Please note: if the criminal offense occurred in Canada and you were found not guilty or the charges were withdrawn or dismissed, the border should have accurate information and entering Canada will likely not be a problem. Also, if your charge for driving drunk was lowered to a wet reckless or dangerous driving charge, you could still be considered criminally inadmissible to Canada and may not be allowed to cross the border. Arrested for DWI but not convicted? If you wish to travel to Canada, contact us now for a free assessment. Individuals who have multiple DUI convictions (whether or not they have an addiction to alcohol) often opt for a deferred prosecution or deferred disposition to avoid jail time. While a DUI deferment allows a defendant to avoid mandatory minimum sentencing and often enables them to drive provided they have an ignition interlock device, getting into Canada can be tricky even with a certified copy of the Deferred Prosecution Order to show when arriving into the country. Although a deferral of judgment is not a conviction, and the final judgment is essentially "not guilty" provided the individual fulfills all the conditions imposed in the deferral, a legal opinion is still suggested before attempting to visit Canada. In some cases, such as a deferred sentence that involved the individual pleading guilty at some point, a person may be considered inadmissible to Canada. There is also no presumption of innocence at the Canadian border, so until all conditions of the deferment program have been fully actualized a person may be considered criminally inadmissible and at risk of a refusal. A nolo contendere or Alford plea may be considered an uncontested conviction for the purposes of Canadian immigration and can render a person inadmissible to Canada without official permission in the form of a Temporary Resident Permit or Criminal Rehabilitation. On the other hand, nolle prosequi is typically considered a voluntary dismissal or "stay of criminal proceedings" by the state prosecutor or local prosecutor and may not be considered a conviction according to Canadian immigration law, although once again a professional legal opinion is recommended before you attempt to go to Canada. Depending on the circumstances, a sealed record can still render an individual inadmissible to Canada unless it is a result of the defendant being a minor when the crime happened. A record that has been expunged in certain states may be deemed to have never occurred for the purposes of entering Canada, although this is not the case for expungements from all states, so it is still very possible for an expunged DUI or wet reckless driving to result in a border denial. Under Canadian law, a foreign disposition is often considered a conviction for admissibility purposes provided there was a suspended sentence (with or without a fine) or imprisonment (with or without parole) involved. If you were arrested but not convicted of a DUI and plan to travel to Canada, call us today or fill out our contact form for a free consultation. Some alcohol or drug-related violations may not be considered excludable criminal convictions for the purposes of Canadian immigration, but sentencing can vary from state to state as can an offense's Canadian equivalence. The easiest way to know if the results of your specific case may be considered a conviction by Canadian authorities is to consult with a licensed and qualified attorney practicing Canadian immigration law or their legal team. A free consultation is by far the easiest way to get answers to any questions you have related to drunk driving and the Canadian border. If you need to cross the border urgently with a DUI arrest on your record, you may be happy to know that our team has extensive experience helping US residents with previous DUI charges enter Canada for emergency reasons. When possible, first-time DUI offenders often opt for diversion, deferred sentencing, or a conditional discharge in lieu of a conviction which allows them to avoid a criminal record provided they complete all the preordained conditions set out in their probation. These conditions can include installing a vehicle interlock device, attending alcohol treatment classes, and only being permitted to drive to and from their location of employment. In addition to drunk driving and drugged driving, it is possible for a person to be denied entry to Canada because of a variety of criminal convictions including contempt of court resulting from falling behind on child support payments or other civil financial matters. One of the more prevalent reasons for a person to be found not guilty of drunk driving is because the judge or jury found the breathalyzer to be unreliable (a DUI lawyer may push for this if even a single error code appeared on the device during the traffic stop). If the breathalyzer was deemed by the court to be malfunctioning, the Police Officer's roadside sobriety test alone might not be enough probable cause to justify transporting the accused back to the station for blood testing. In such cases, the highly accurate DUI blood test results may no longer be admissible as evidence, and the person may be exonerated of the impaired driving charge. This original arrest will likely still appear on the person's FBI file, however, which is viewable by Canadian border security. For individuals who received a suspended sentence for their DWI, or who got an adjournment in contemplation of dismissal (ACOD), whether or not they are considered ineligible to enter Canada may depend on the exact wording of the documents. People are often left wondering if they can go to Canada after a deferred adjudication, absolute discharge, conditional discharge, dismissed charges, or a pardon. People also do not always know exactly which documents an officer will want to see when they attempt to enter Canada: a list of convictions, complete details of all charges, full court dispositions, pardons granted, court proceedings, foreign DUI laws if the driving while drunk charge happened outside of the United States? People who received a DWI while they were a juvenile also do not always know how this affects their ability to enter Canada as it may vary depending on if they were convicted as a young offender or as an adult. Again, the best way to get real answers to your questions is to speak with an experienced Canadian immigration lawyer. Many states have administrative penalties for people who drink and drive but are below the legal limit for driving under the influence. In Florida, for example, a BAC level of 0.02% or higher can result in a six month or longer suspended license, and a BAC of 0.05% or higher can result in a longer license suspension that only ends after the individual completes an evaluation and course related to substance abuse. In general, an administrative penalty alone will not necessarily cause the border to deny admission to an American unless their Blood Alcohol Content was 0.08 or above or the offense equates to a serious crime in Canada, but it is always best to speak with a qualified lawyer about your exact scenario. Even after being exonerated of a crime such as drunk driving, the original arrest will still be visible on the person's FBI criminal record check which the Canadian border can access. For this reason, it is extremely important that visitors can prove their admissibility to Canada's immigration officials if challenged. For more complex scenarios, the first step of any analysis to determine if a prohibitive conviction actually exists according to Canadian law is to look at the judicial disposition. Questions? Phone us today for a free consultation!